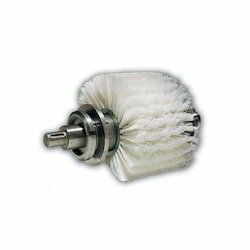 We are offering a wide range of Silicon Carbide Ceramic Brush Roller as per customer requirement. Our clients can avail from us Ceramic Brushes that are available in various sizes, designs and thicknesses. We are one of the leading manufacturer and supplier of superior quality Ceramic Brushes. These Ceramic Brushes are in good demand in the market due to high quality and durability. These products are available in market at competitive rates. This is a tool that can automate precision de-burring of cross-holes. It also achieves simultaneous inner wall polishing and removes mill scales and foreign substances.